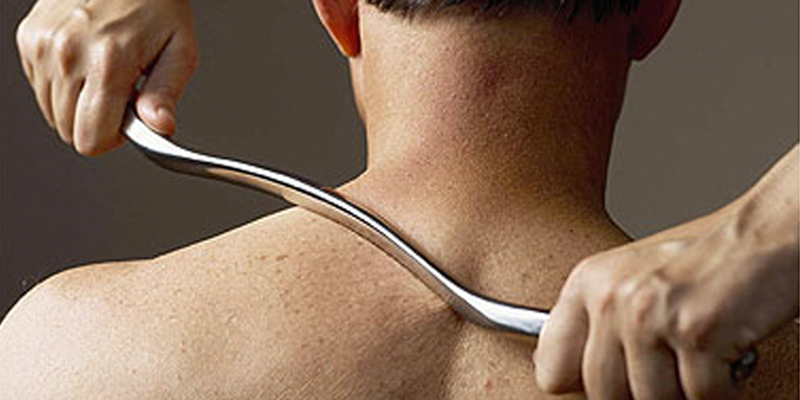 We use a range of techniques to provide injury treatment and pain management. Our physical therapists bring an understanding of anatomy and physiology to evaluate body movement and patterns. We work with people of all ages to manage injuries and determine the source of pain. 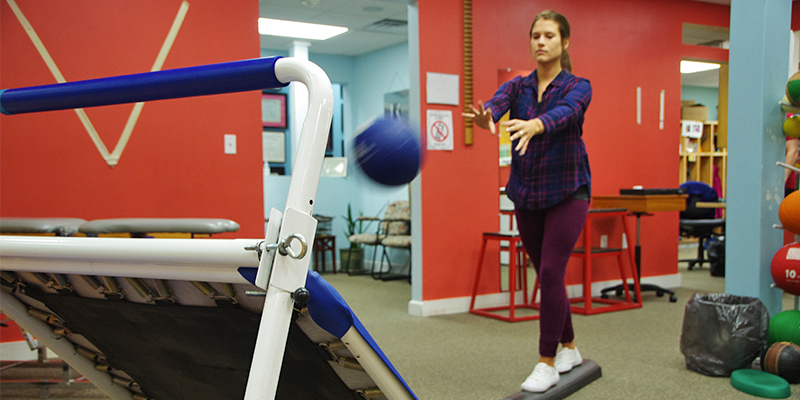 There is no one-size-fits all therapy approach, which is why our therapists create an individual treatment plan that utilizes techniques to promote movement, reduce pain, restore function, and prevent disability. In addition to addressing pain management and rehabilitation, we help with injury prevention and function restoration. We know that there is nothing worse than being side lined from doing the things you love to do. Through fitness and wellness programs we are able to help our patients enjoy a healthy, active lifestyle. 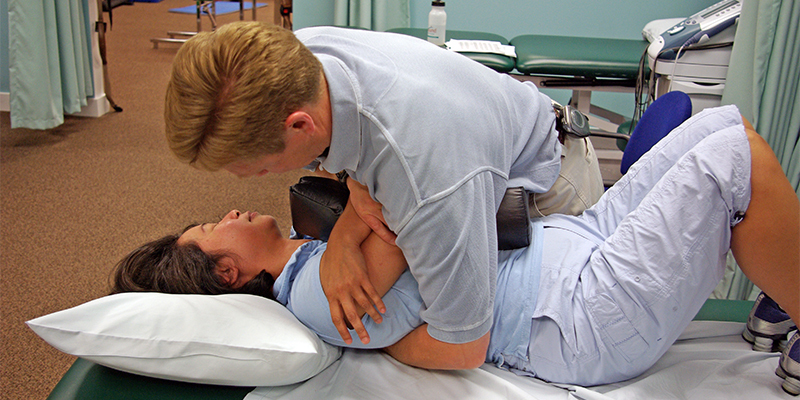 Throughout the treatment program, our physical therapists review and refine based on a patient’s progress. We also ensure that our patients are educated on their treatment plan. Techniques are applied to help mobilize joint and soft tissue restrictions, while others are used to help strengthen and retrain weak and uncoordinated muscles, in addition to postural or biomechanical problems. Rebound therapists have advanced certifications in a variety of these advanced skills. This technique allows us to detect and treat areas of “scar tissue” or adhesions in muscles, tendons and ligaments that can reduce range of motion and cause pain. Most of our clinicians are Certified Graston Providers. 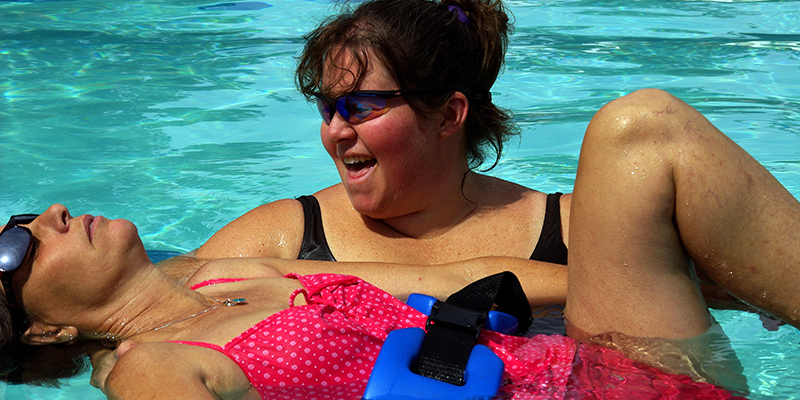 Water provides 3 important therapeutic elements: buoyancy, hydrostatic pressure and viscosity. Buoyancy alleviates the load on painful joints, viscosity provides tailored resistance to allow optimal strengthening and hydrostatic pressure reduces swelling. Proprioception is the ability to detect the position of your joint or body in space, while balance is your ability to stand upright against gravity. No matter one’s age or level of activity, each of these areas can be improved to make you safer and more functionally stable. Our focus is on the muscular & skeletal system to help with injury recovery. We implement multi-dimensional exercises and activities designed to target all the areas that need strengthening in order to return safely to competition. Our gym contains an extensive collection of pulleys that allow patients to perform graded exercise. 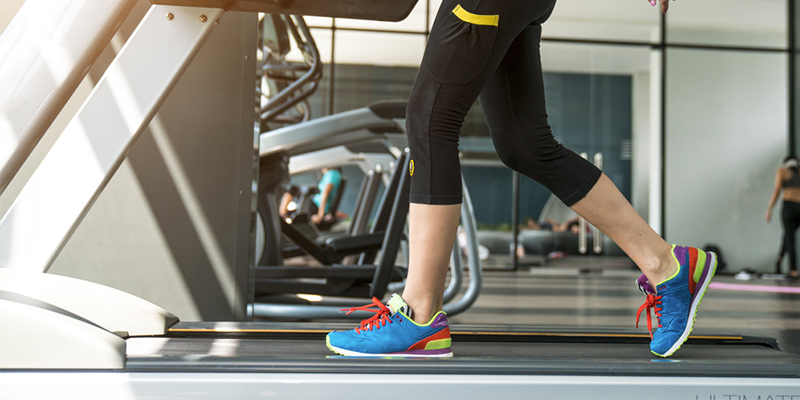 It is a great bridge between injury and the return to every day activities or the gym, as well as pre- and post-op recovery. Dizziness and blurred vision can be caused by inner ear dysfunction. 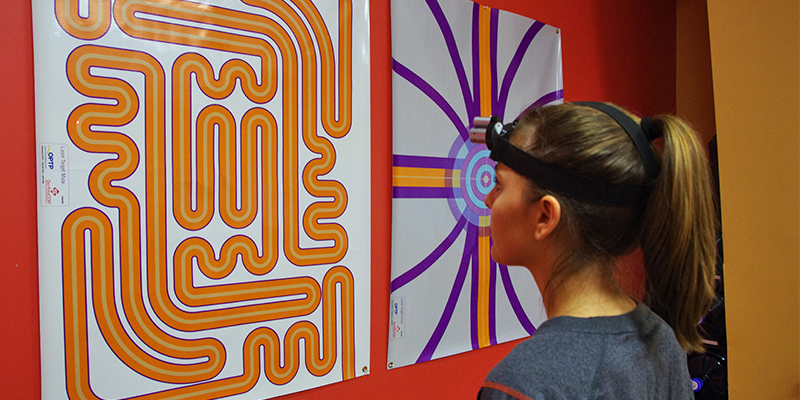 Our therapeutic interventions restore balance between the eyes, inner ear, and proprioceptive systems. Brain health is vital to overall operations of a healthy body. Impact therapy targets re-training normal neural system functioning. 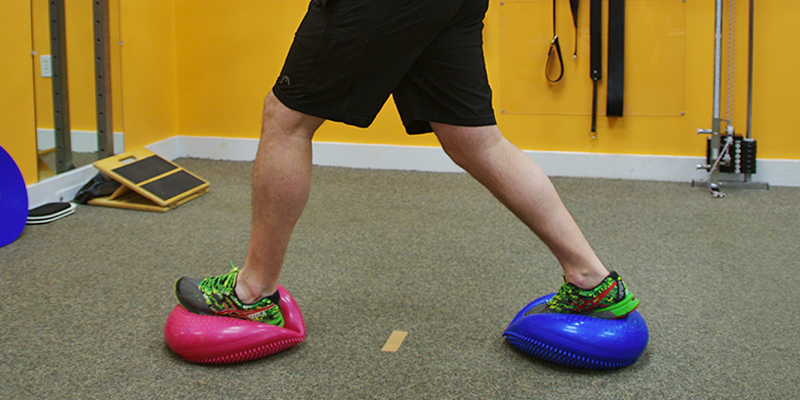 Many back, hip and knee problems start with issues of the feet or poor stability. Through an extensive biomechanical analysis, we determine the true root of your issues. The dynamic integration of impact and rebound, catching and throwing, stopping suddenly and starting fast. 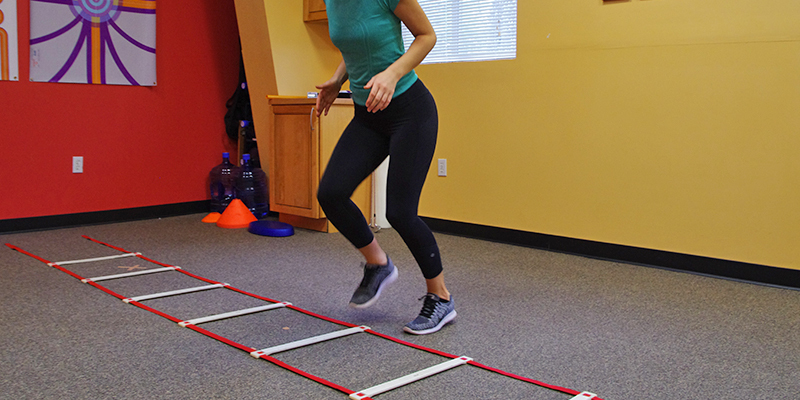 Plyometrics are exercise activities that progressively ready a body for a given dynamic activity.